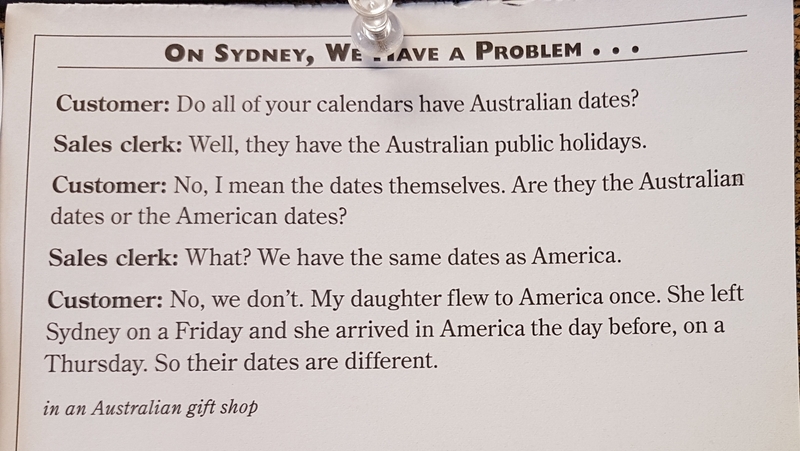 Here’s a Sunday Chuckle for all our Australian readers. Enjoy. One time I spent new years in bonny Glasgow, and phoned home at midnight. It was 7pm at home! They keep coming out of the woodwork!